In honor of National Poetry Month I present a 3-minute-movie with poetry by former 5 Question Friday participant David Fewster and filmed by his daughter Hannah Fewster. For this week’s 5 Question Friday, I have Matt Vancil, the creator of the awesome web series, Journey Quest. If you are unfamiliar with Journey Quest, there are few ways you can better spend the next hour or so than by clicking the link at the end of this post and watching some of the funniest stuff on the web. They’ve also just released the DVD of the first season. I think I’ve done enough introducion, on with the questions. 1. Where did JourneyQuest originate? I got the idea on the train ride back to L.A. from San Diego after Comic Con 2009. I’d attended panels for The Guild and The Legend of Neil, and was really impressed with what the filmmakers had been able to do within the web series format. I’d also been really frustrated and disillusioned with not getting anything made in Hollywood despite meeting after meeting and revision after revision. There’s this notion in L.A. that nothing lives under a certain budget level, that quality entertainment simply cannot be produced for less than seven or high six figures, which is just flatly untrue — I and many of my colleagues have made a career on the lower end of the budget scale. So coming out of Comic Con, I really wanted to try my hand at a web series, so that’s what I did. I sketched out the broad strokes of the characters and the story on the train, and had a draft two months later. 2. What Tacoma ties does JourneyQuest have? A few. 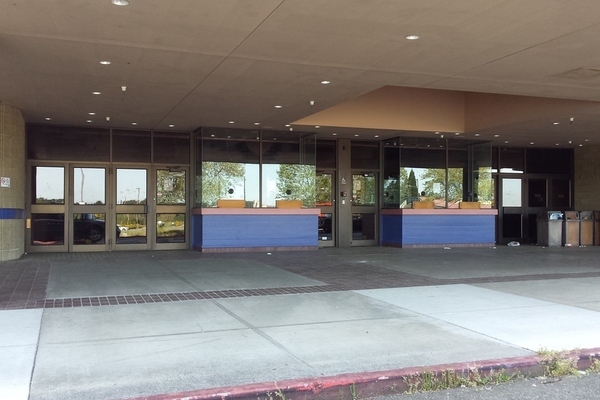 In the cast, we had four members of The Outfit Theater Project, all regulars on the stage at Tacoma Little Theater and Lakewood Playhouse, as well as other theaters in the South Sound: Christian Doyle, Brian Lewis, Luke Amundson, and Bryan Bender. A fifth member of the Outfit is joining the cast in the next season. One of our main actresses, Emilie Rommel Shimkus, is the lead singer for Tacoma’s Igneous Rocks; another band member, Steve Wolbrecht, composed all the music for the series. Our Co-Producer and Production Coordinator, Kat Ogden, headss Tacoma’s Sabotage & Dialogue, a multimedia and production company, and skates with the Hellbound Homewreckers of the Dockyard Derby Dames. Then there’s the legion of JQ cast and crew who attended Pacific Lutheran University: Ben Dobyns, Producer/Editor/Director of Photography; Phil M Price, Sound Design; Naarah McDonald, Production Manager; Emilie and Nathan Rice from the cast; and myself. The show was also co-produced by Tacoma’s Dead Gentlemen Productions, where I and many of my fellows cut our teeth on the big film burrito. 3. What’s the most surprising thing that has happened since you started making Journey Quest? That would have to be the fan art. We released the show under a Creative Commons license, which means anyone is free to download, remix, and play with the video and audio of the show. We’ve encouraged folks to do that, and the works that have come in have blown us away. We’ve seen amazing artwork of the characters. Some German fans redubbed our third episode into German; we still don’t know how they managed to separate the original dialogue from the rest of the soundtrack. Another fan animated the first two minutes of the very first episode, and kick me if it isn’t better than the original. We’ve included some of the fan contributions on the DVD of the first season. I’ve also been approached by a pair of trading card game artists who are interested in doing a JourneyQuest web comic. I don’t know how that will play out, but it’s damned exciting. Two main reasons. First, I knew we could do it at a production value far higher than our budget. 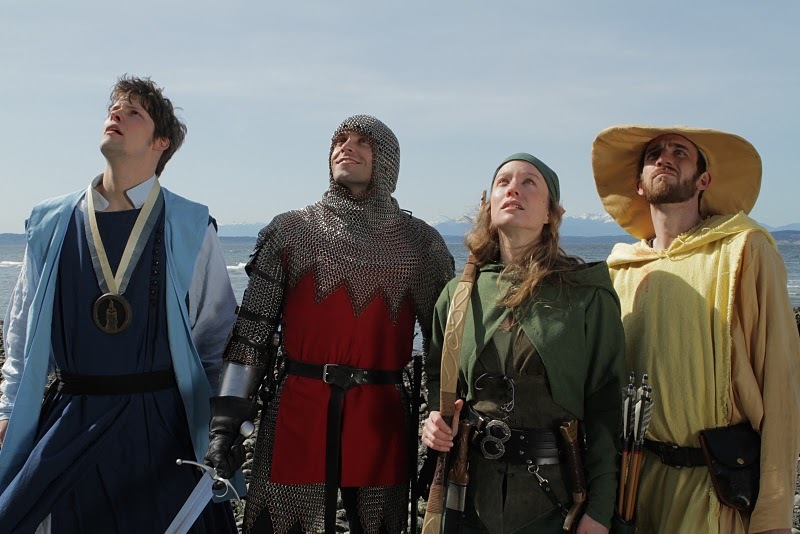 There are a ton of fantasy and medieval enthusiasts in the Pacific Northwest, and we were very lucky to work with the best of them — the Seattle Knights (not from Tacoma, but we forgive them.) Their members costumed us, armed us, choreographed the fights, and generally made the actors look like they knew what they were doing with the weapons. Their expertise really shows in the production design and combat. Second, I love comic fantasy, and have always wanted to do a straight fantasy comedy, one free of an RPG setting. (Don’t panic, Gamers fans — we’re working on Gamers 3). 5. What’s next for JourneyQuest? Season Two. When exactly we’ll be filming it has yet to be determined, but we’ve got a lot of momentum right now and many good things are happening. We’ve already made back a third of our first season budget in fan contributions alone, and that’s not counting DVD sales, which just began a couple of weeks ago. We’ve also got a TV star making an appearance in the second season — Fran Kranz of Dollhouse is a fan of the show and will be joining the cast when we resume filming. We’re in the process of raising the rest of the season two budget, and then the story continues.